Best Fitness BFSB10 Exercise Bike is a stationary bike with some unique features like quick change tension ,controls to help simulate hills and valleys, 15 vertical seat adjustment, easy brake, belt guard, foot straps and 7 vertical handle bars. The transport wheel helps to displace it from one place to another. Its frame comes with a life time warranty. 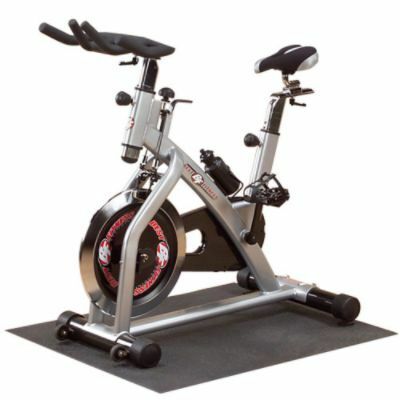 This stationary bike has a precision flywheel that generates a smooth ride at all tension settings. The latest cost of Best Fitness BFSB10 Exercise Bike will be updated soon. *Note: Most of the sites, stores or shopping portals listed above sell Best Fitness BFSB10 Exercise Bike with discounts and other exciting offers. There is a possibility that the some of above websites are not selling Best Fitness BFSB10 Exercise Bike now. Toughtrain.com is not liable for such cases or instances. Also we do not recommend any seller for Best Fitness BFSB10 Exercise Bike and a buyer should buy from where he/she gets best deal with quality of products, service and on time delivery (shipment).